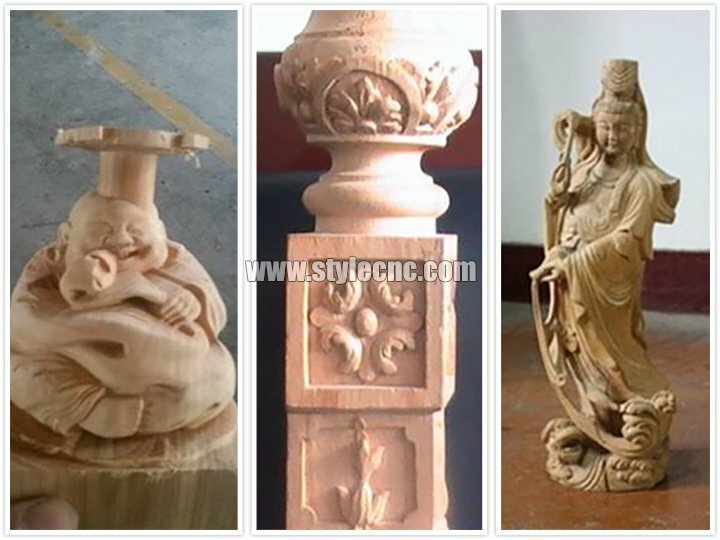 STYLECNC® CNC Router with 4 axis rotary and 8 heads is used for relief sculpture, 3D engraving, cylinders engraving such as wood table legs. 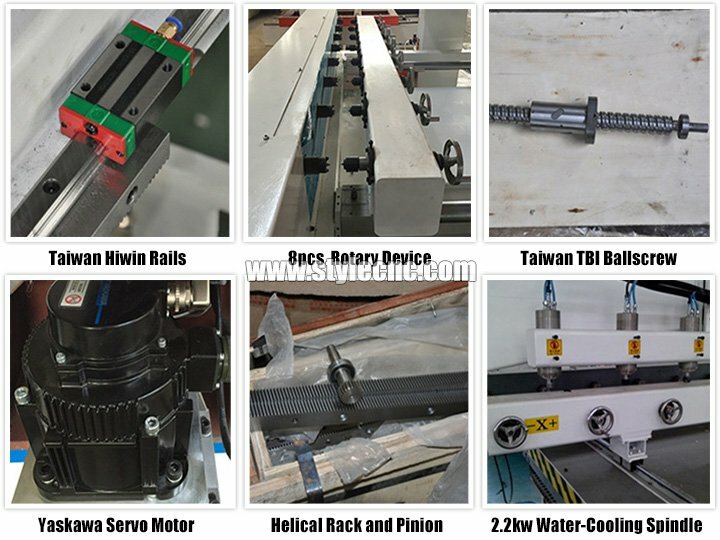 1. four axis machine, with 8 Rotaries and 8 spindles, which can work at the same time or independently, and every one's max effective working area is 150mm(diameter) by 1000mm(length). 2. With Scanner or designed photo, it can do any 3D Engraving and 2D Engraving. 3. 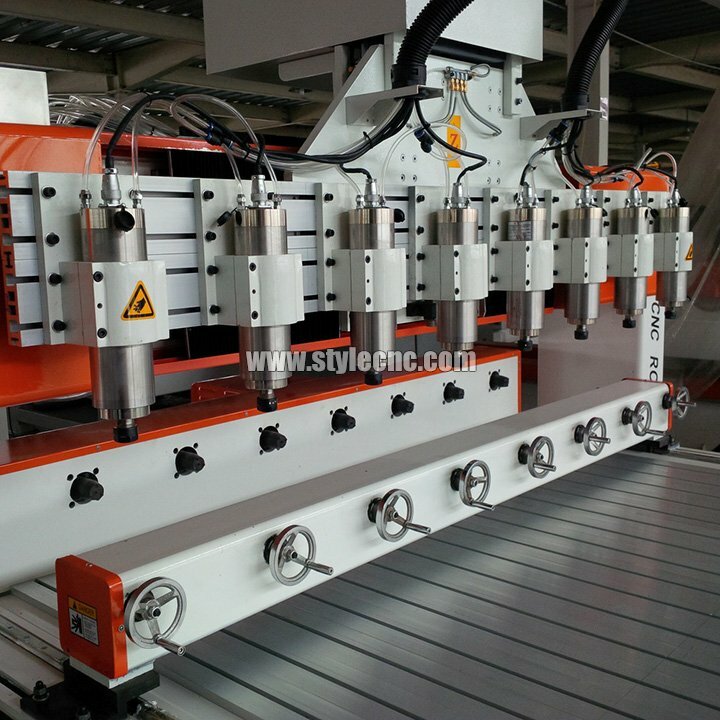 Whole machine is welded with seamless steel structure, the stability is excellent, not easy to be deformed. 4. Has the 4th rotary which is used for engraving cylinder workpieces. 5. Well compatibility: CAD/CAM designing software e.g. Type 3/Artcam/ Castmate/Wentai etc. 7. Adopting advanced YASAKWA servo motor and DSP(A18) control system. 1. It can engrave several materials at one time, which greatly increasing the working efficiency. 2. It can do not only rotary engraving but also flat engraving. 3. Movable working table with high engraving accuracy. 4. 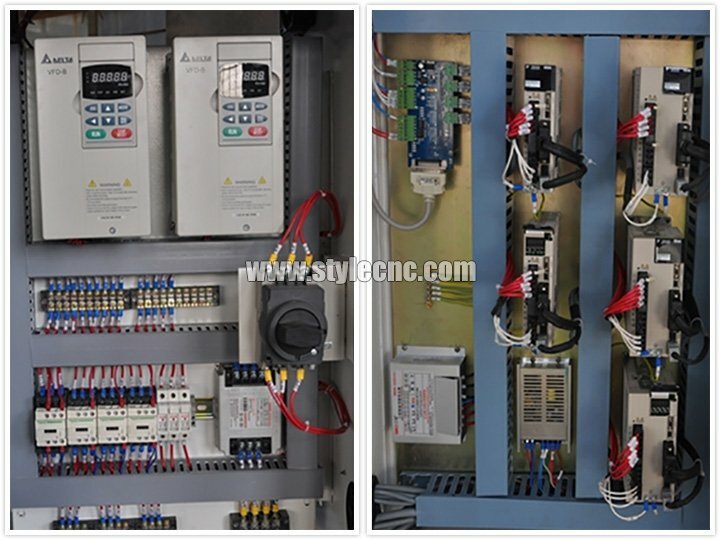 Inverter,reducer and spindle are one attached one which make the machine working more stablely and efficiently. 5. XYZ axis use anti-dust system, prevent dust during working, make sure the long lifaspan of square parts. 6. With 8 independent spindles, can enhance the efficiency of engraving work. 7. Each spindle is cotrolled by an independent frequency converter. 8. Can ajust the motor power timely and accurately, it's more power-saving and safe. 9. Suitable for engraving plane and cylindrical materials. 10. With whole casting iron frame, to ensure the structure stability, low inertia and no distortion. 11. HIWIN linear guide and sliding block, Germany made dual screw-nut anti-gap rod. 12. With high accuracy, low noise, and long life. 13. Equipped with high-speed spindle motor, high-performance division drive. 14. Ensure the long time and stable working. 15. Adopted with advanced controlled system, with simple operating software, its easy to learn. 16. And the operator can check the real-time trajectory, plus or minus Z-axis depth in real-time. 17. And adjust the motor speed conveniently. 18. Powerful compatibility for most of software such as: type3, Artcam, Proe, Wentai,CAD / CAM. 19. Humanized design, convenient for removing and installing. 20. 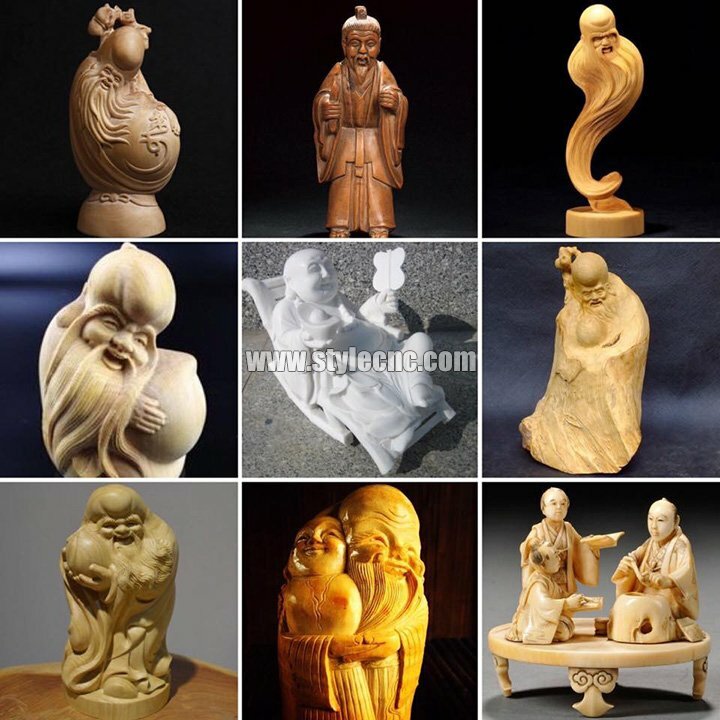 Can meet not only the high sensitivity, high accuracy, high speed small sculpture. 21. 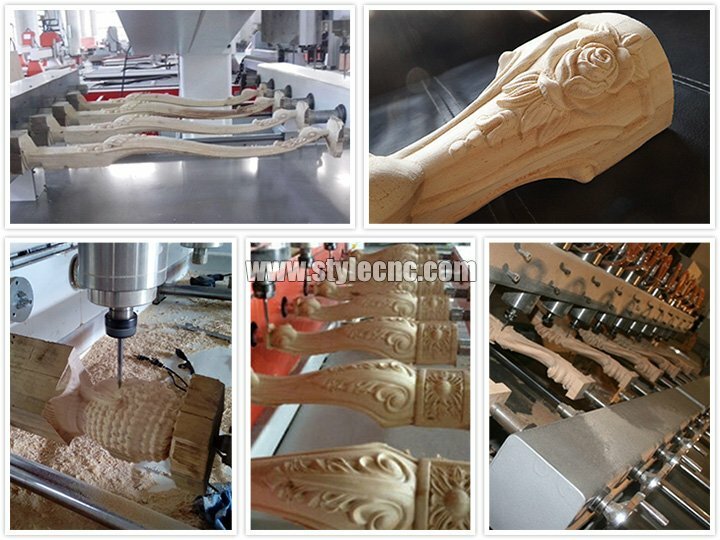 Can adapt to large acrylic cutting, three-dimensional billboard production, wood carving. 1. Wood Furniture Industry: Wave Plate, fine pattern, antique furniture, wooden door, screen,MDF, craft sash, composite gates, cupboard doors, interior doors, sofa legs, headboards and so on. 4. Relief sculpture and 3D engraving. 5. Cylinders engraving such as wood table legs etc. 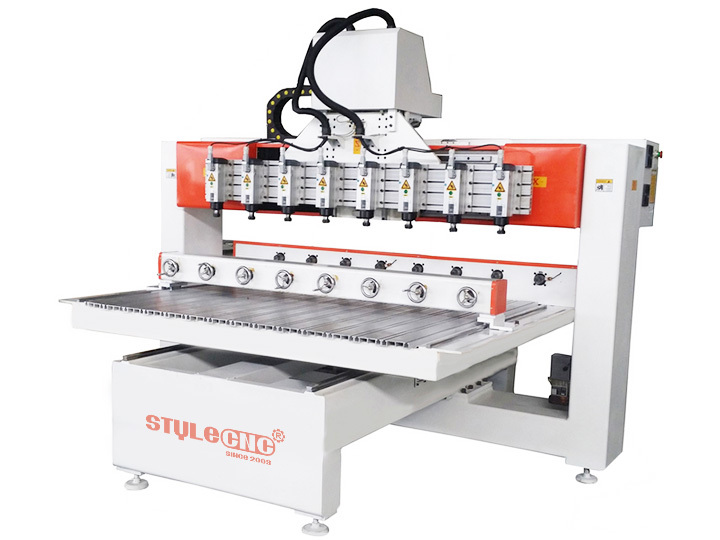 License: The text of "STYLECNC® CNC Router with 4 axis rotary and 8 heads" by STYLECNC is licensed under a Creative Commons Attribution 4.0 International License. 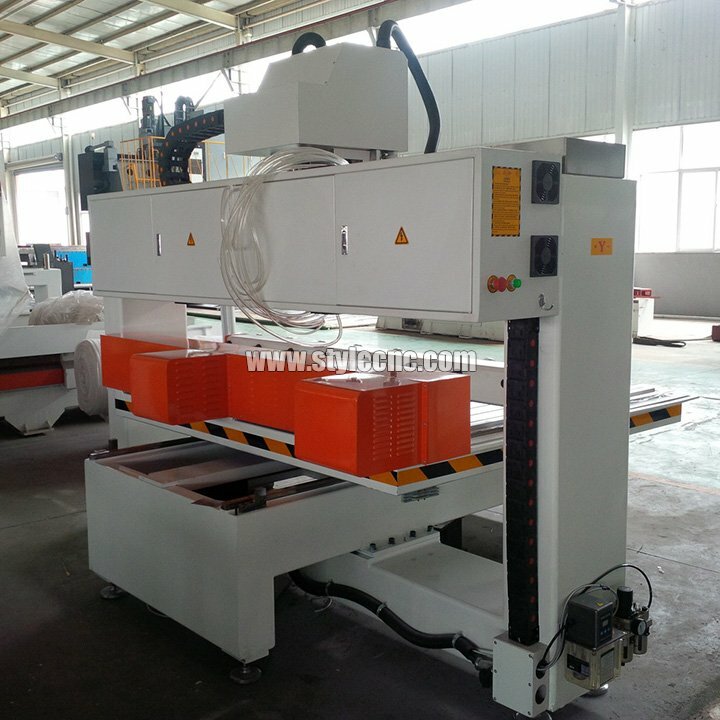 Very good CNC router supplier. Fast response. The CNC machine has been well packed. Thank you very much. All super.Reply from STYLECNC: Thanks for your trust. The packaging is intact, the equipment, CD in place, all have not been damaged, especially happy attitude to the details.